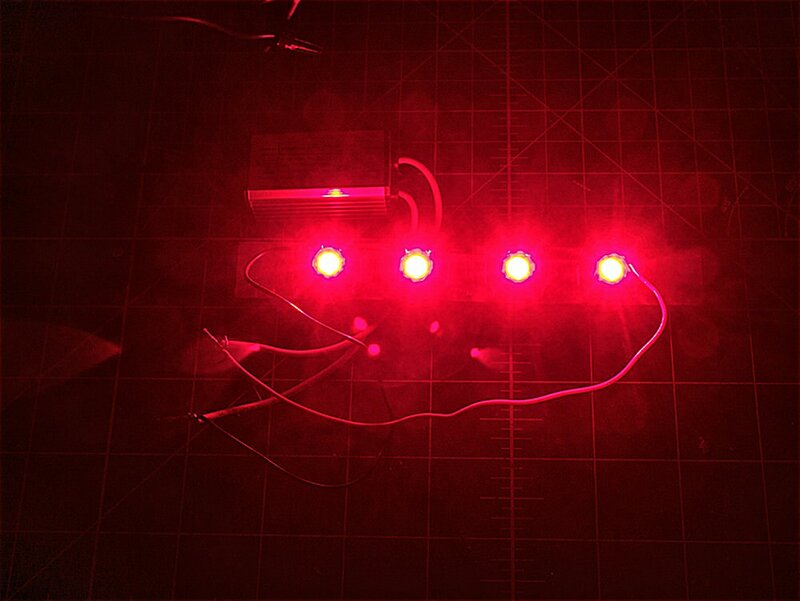 So ive been tinkering around with LED's, taken a while since it can take a month for parts, dirt cheap when Ordering from China. 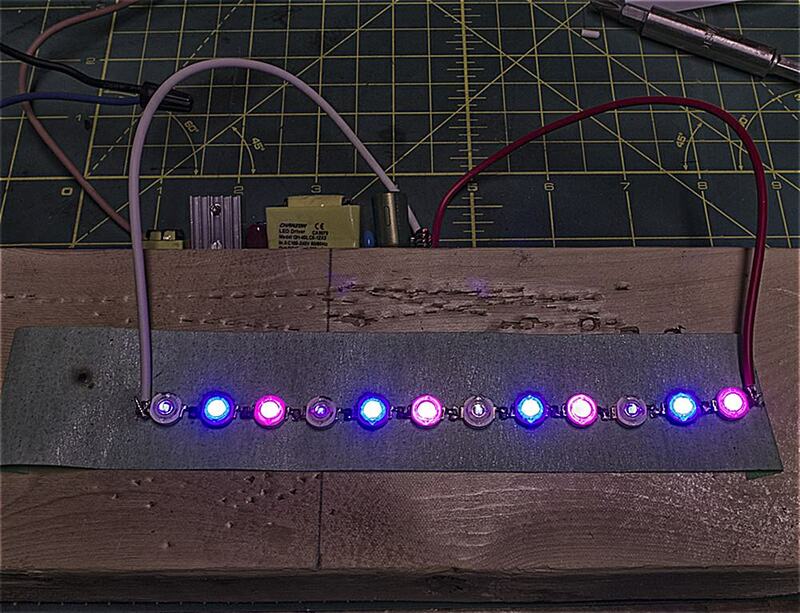 1W leds being a pain. 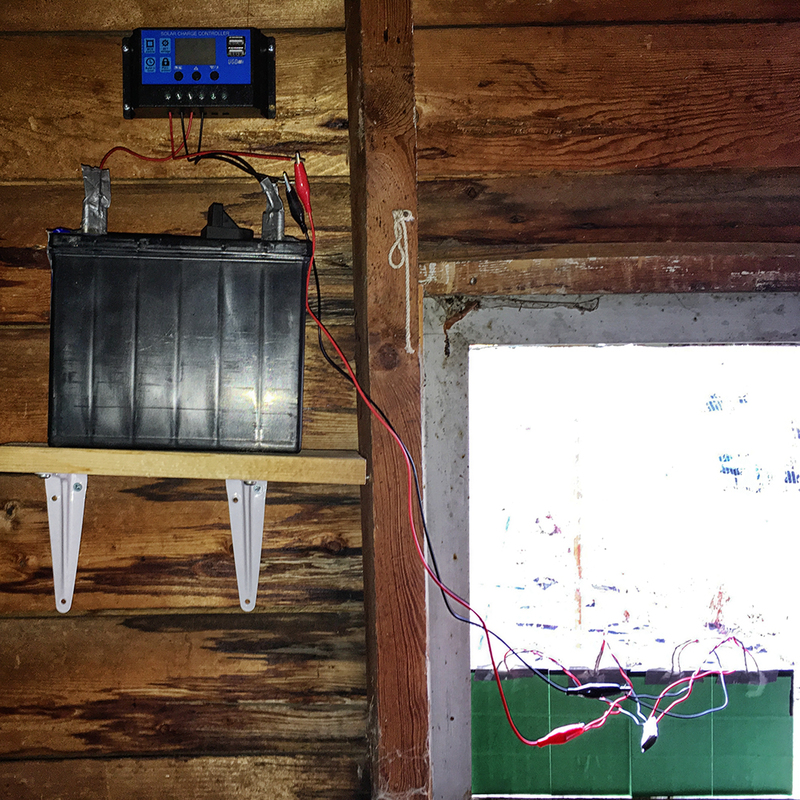 current is constant, add voltage. 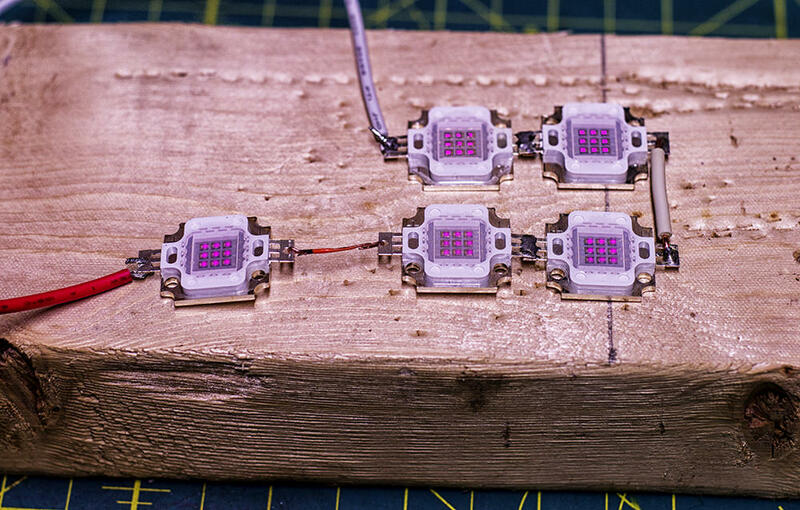 the 1w leds will use less current than the 3w. usually a 350mA driver instead of 700 (looks like you are using 900mA). Edited by juanitos, 24 November 2018 - 09:42 PM. The couple drivers I have are in the 20-40v range and 900ma, so you saying it has to be a lower amperage to work properly? yes, 1w should use a 350mA driver. when you make a parallel branch it divides the current. so a 900 mA driver / 2 would be 450mA.which might work ok. still overloading them a bit. Edited by juanitos, 25 November 2018 - 05:13 PM. 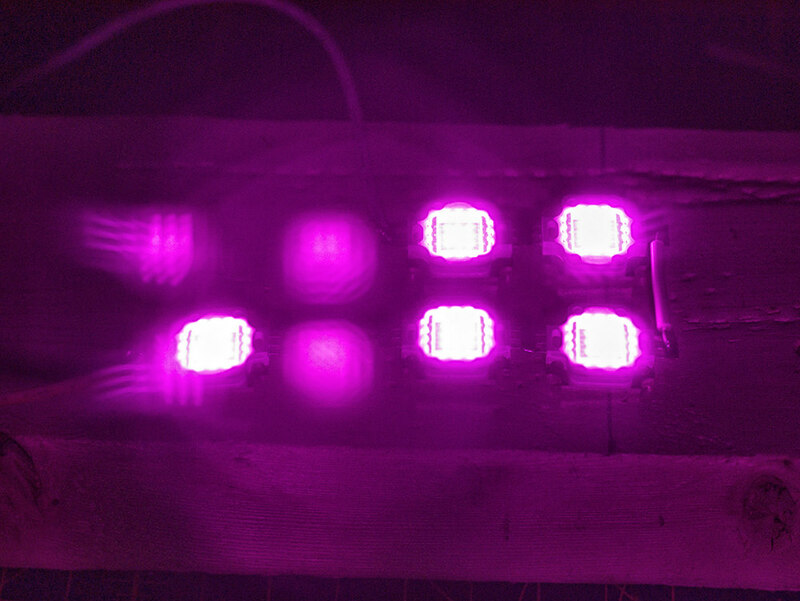 So I did a 4x3 this morning, still flashing, the first three rows lit (flashed) the fourth row did not light up. Max current would be 1.14 for three. which driver are you using, what are the specs? 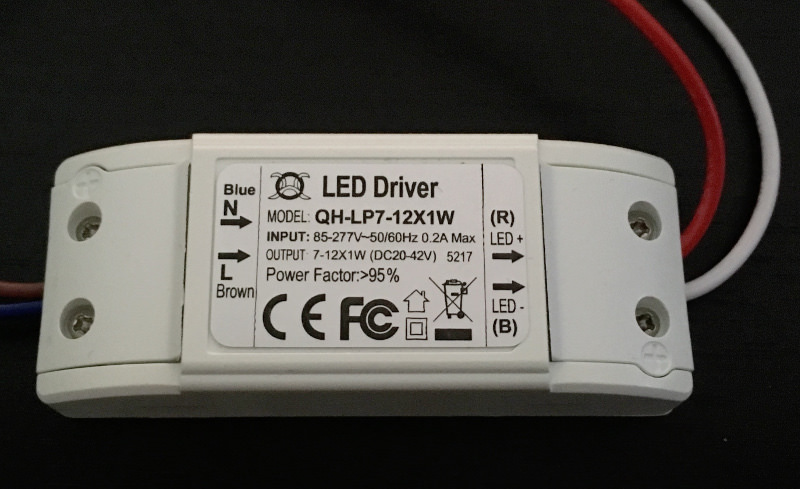 flashing happened to me when i wasn't using enough led to hit the driver minimum. 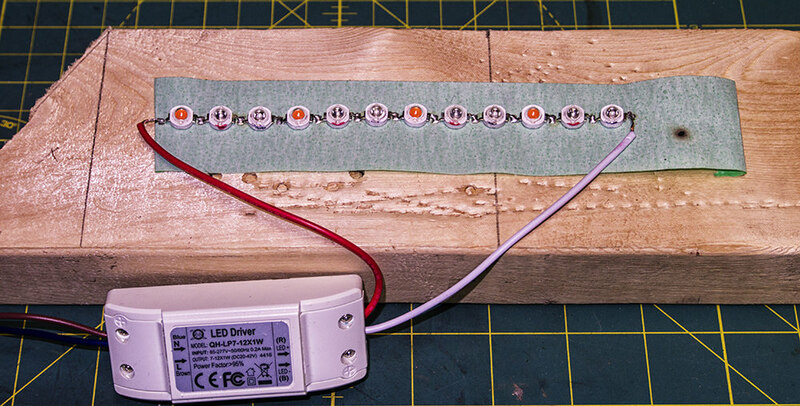 you can test each led by putting 2 AA batteries together. 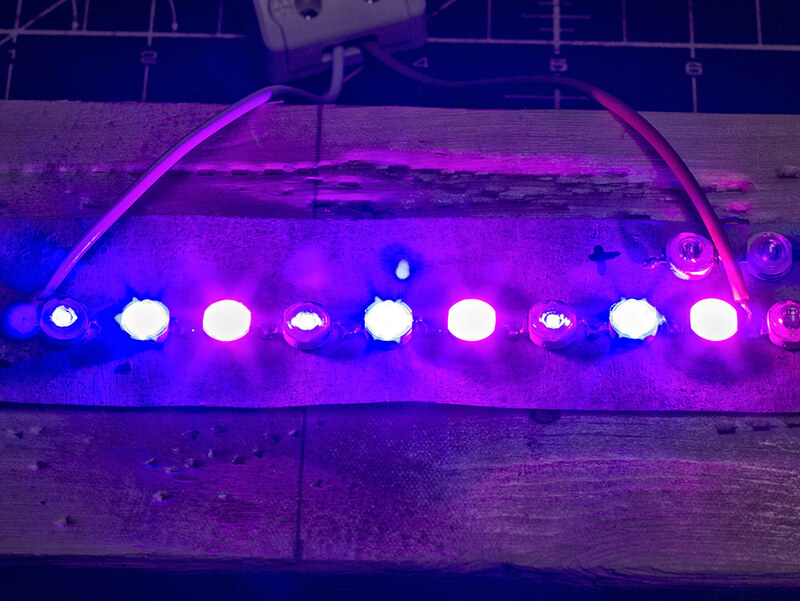 I tested the leds already individually. Edited by dragonsfire, 27 November 2018 - 11:40 AM. hmm you got all the polarities right? no idea otherwise seems fine. Yup, tested each one, driving me nuts. 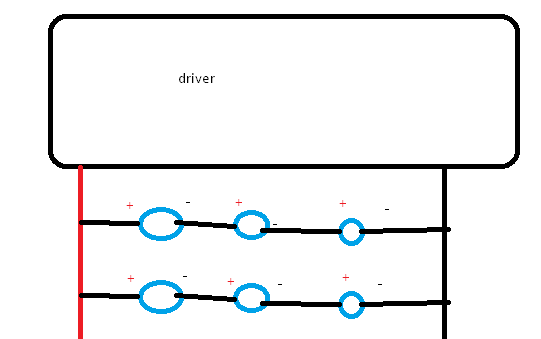 trying 3 to 15 units should have narrowed down the range, and trying three different drivers with the same effect proves its the led properties. 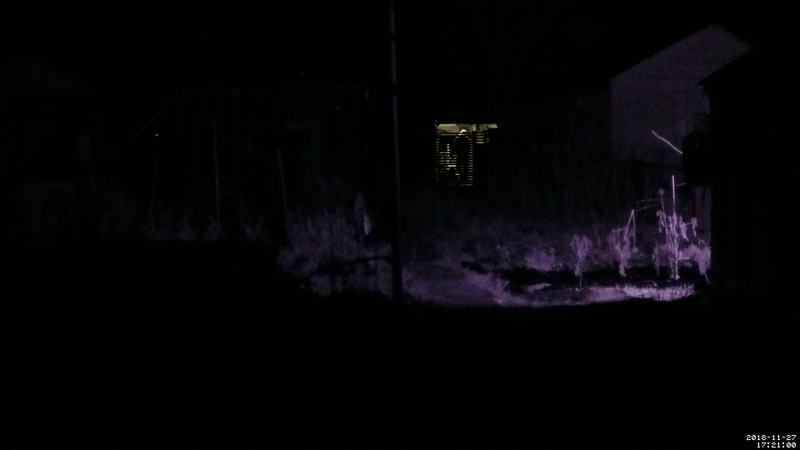 Test setup of infrared light and camera. 850nm invisible to the eye with a 5meg pinhole camera (my 8meg for some reason stopped working) run by a Raspberry Pie all for under $100. 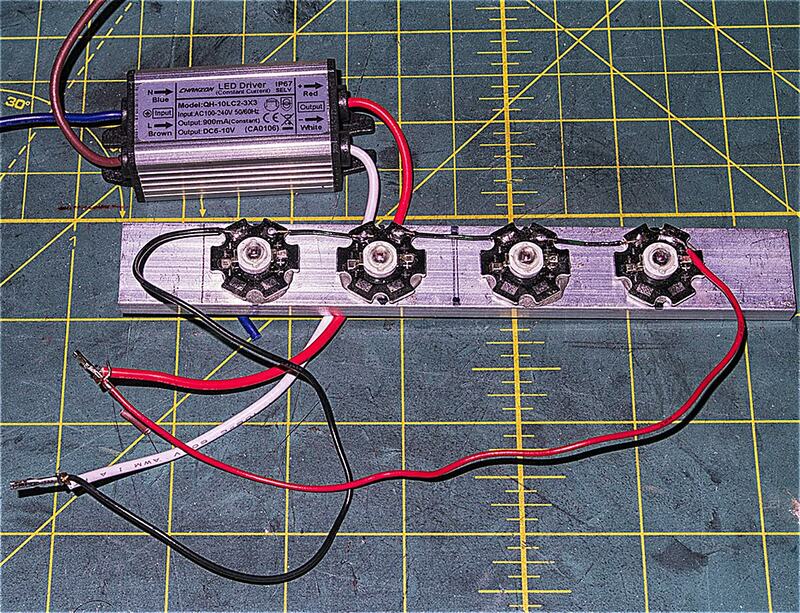 Easier to run higher wattage LEDs then the 1W, these are two 10W IR leds. All monitored from Browser over wifi. 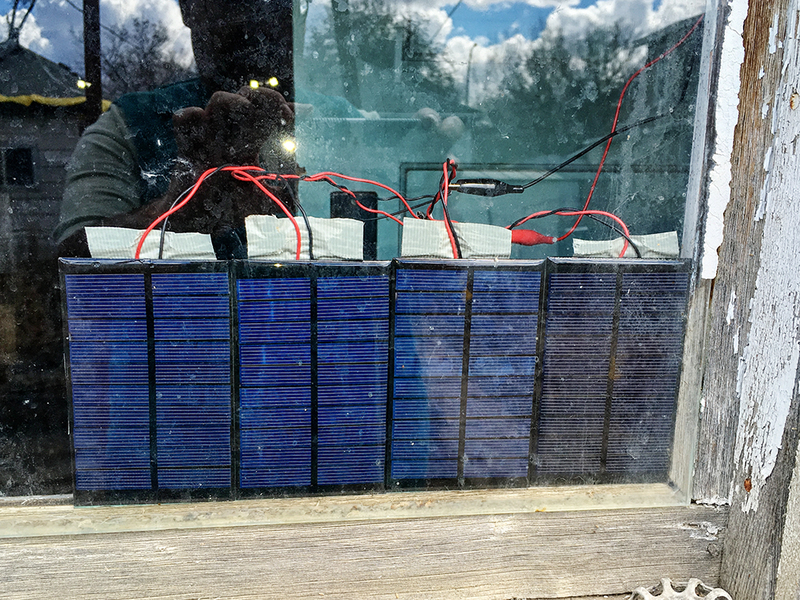 Got my little solar experiment going, just have to figure out arranging the LEDs to run on the DC. 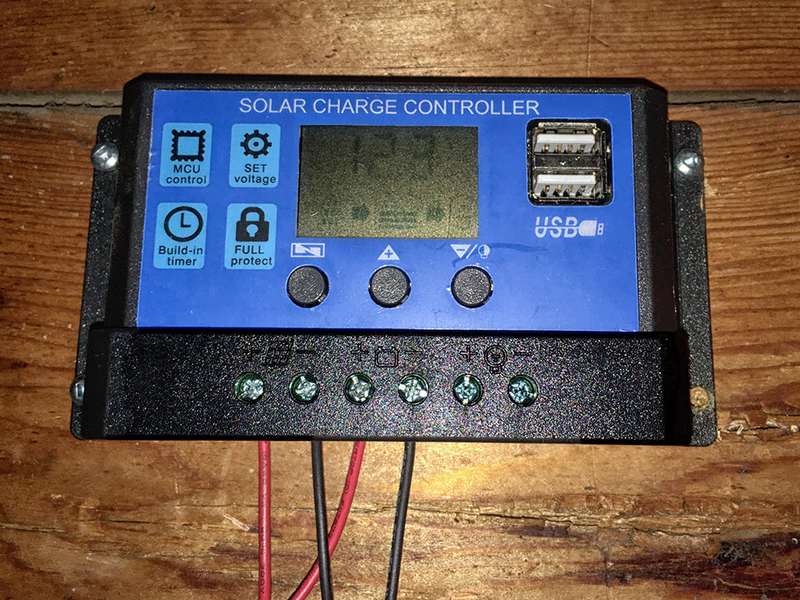 $20 total, sealed solar cells 4x 6v 1.5W and controller. Once I got it all figured out will wire it more solid. Charging fine.